1.3 Criteria for Efficient Running or Optimization filter cake Pol. 1.3.1 Vacuum ( Low and High vacuum levels). 1.3.3 Wash water temperature maintained 60 to 650C. 1.3.4 Speed of the drum: 3 to 5 min per revolution. 1.3.5 Thickness of Filter cake – 1\4” to1\2”. many years. They are well suited to applications where both dewatering and washing are required and appear to be the best of the available equipment for the treatment of cane sugar muds. In this article discussed about vacuum filter description, its operational parameters and also explained optimization of filter cake pol (sugar loss from vacuum filter). Mud Mixer or bagacillo mixer. The mud to filters flows by gravity from the clarifier to mixer or by pump. In mixer fitted with sttirrer, bagacillo from mill baggase carrier is fed continuously to the mixer. The mixture of mud and bagacillo is continuously feed to the mud trough of filter. The RPM of the mixer is around 20 to 25. The mud and bagacillo mixture is continuously feed to mud trough from the mud mixer. It is a semi cylindrical in shape. In order to avoid allowing the muds in the filter tank to settle out, they are kept in movement by an agitator oscillating to and fro, pivoted on the axis of the filter, and driven by a separate small motor. The filter drum rotates around horizontal axis is always partially submerged in the mud trough. It is horizontal cylinder with corrugated surface. Which is covered by fine copper or s. s. screens. The screen has 625 perforations per sq. inch. with 0.5mm dia and 23% clear opening area. 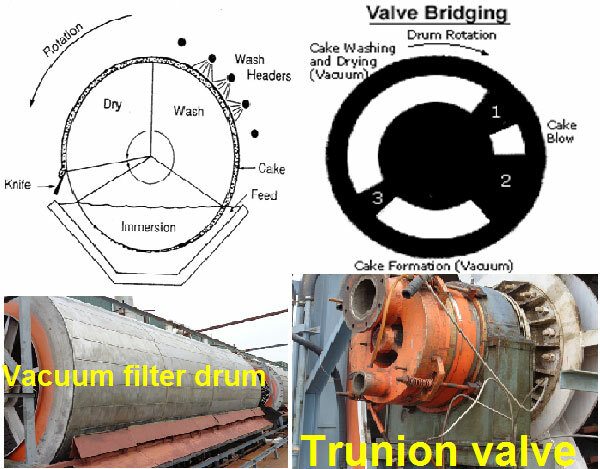 All segment tubes are united in trunnion valve through which filtrate withdrawal pipes are drawn and led to filtrate connecting vessels under vacuum. One vessel for heavy and other for light filtrate. Low vacuum maintained through control valve. Top side is connected to vaccum pump for extraction of air and vapour to create vacuum. Bottom side pipes are immersed in the sealing tank. Vaccum pump create vaccum inside the system. it’s capacity is about 18 meter cu air suction per square meter of filter area. The condenser condenses the vapour sucked from the filtrate the pump located near treated juice receiving tank. As per Peter Rein Approximately for 100m2 filter area required Vacuum pump capacity – 520 to 680L/sec and Condenser cross section area- 0.48m2 required. arranged between the filtrate receivers and the filtrate pumps. Surface of drum is equally distributed in 24 nos. 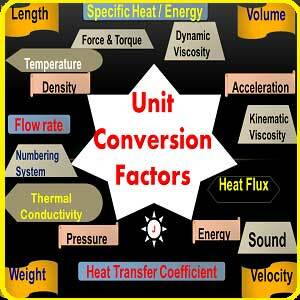 Segments having following distribution criteria for flow flowing activites table clearly indicate that by in design. Now the surface area is distributed for different activities. At the same time. The retention time for each activity may be easily allocated for efficient operation. The settled mud from the clarifier with 6.8 to 7.0 pH and 22 to 24 Bx contains the muddy juice temperature above 80OC. For better filtration temperature should be on higher side. As viscosity of juice is inversely proportional to temperature. Low viscosity favors the filtration. Wash water temperature = 60 – 75OC. Wash water % filter cake = 150% max. Production of filter cake will be 60 to 75 Kg/hr/m2 screen area and the average is 67.5 Kg/hr/m2 . General Consideration value for bagacillo for 5mm hole dia screen having 65 kg/m2/hr. Wash water requirement for filters is 4 to 6% on cane or 150% on cake. Criteria for Efficient Running or Optimization filter cake Pol. Vacuum ( Low and High vacuum levels). • Function: Formation and build up of cake. • If too low: Filter cake will either not form or will not have the necessary consistency. when washing the cake with water under pressure from the sprays, the filter cake will drop off the screens which affect the filter operating capacity. • If too high: More solids goes through the heavy filtrate and screens will be chocked. • Function : Washing and drying of cake. • If too low: The washing and drying the cake would be deficient. This would results in filter cake with high sucrose. • If too high: Filtrate would be more cloudy and there would be a tendency for the screens and suction tube to clog. Bagacillo Act as a filtering medium and increase the porosity of cake. Hence bagacillo should be uniform in size and is adequate quantity. Bagacillo quantity will depend on the texture or density of mud. If the mud is too diluted it will be necessary to apply more bagacillo and vice versa. Normally the quantity of bagacillo is from 6 to 8 Kg per ton of cane crushed. Excess of bagacillo reduce the operating capacity of the filter. Adversely affect the exhaustion the filter cake and increase the polarization and sugar losses. Lower bagacillo quantities reduces the filtering action. The filtrates are a lot of more cloudy and it may cause clogging of the screens and suctions tube due to the greater amount of solids that pass with the juice. The action of the scrapper is also affected which does not clean the screens. Remove the sugar from the cake by displacement principal. Quantity of wash water 150% on filter cake and wash water pressure of around 3 Kg/cm2 . Part of soluble impurities are picked up during the washing. Resulting is a drop in purity of the juice reaching the filter and the clear filtrate leaving it. This drop is generally of the order of 2-4 units. Wash water temperature maintained 60 to 650C. 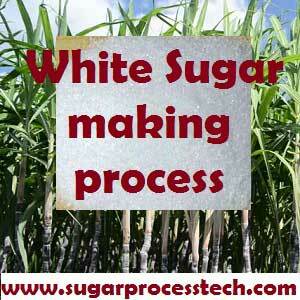 To achieve an efficient exhaustion of the sucrose & less Wax in the filtrates. If temp is high: Extract a larger amount of undesirable impurities, more wax will enter in the process, affecting the filter ability and quality of commercial sugar. If temp is low : Desugarisation the filter cake is not achieved,results higher pol in filter cake. Speed of the drum: 3 to 5 min per revolution. If too slow: The filter cake is too thick which would result in higher pol.The mud volume should be increased ,reduce the capacity. If too high :exhaustion and washing should not be proper. Thickness of Filter cake – 1\4” to1\2”. If too much:- the exhausting of the sucrose in the mud is less ,the pol in mud will be higher and sugar losses will be greater . If too thin :operating capacity of the filter is adversely affected more.cloudy filtrate, risk of clogging in the screens and suction tubes. 80-850C after the addition of the bagacillo. Below that temp there is a risk of waxes blocking the gauge. If trough level is higher, the cake should be thin. If trough level is lower, the cake should be thick. Low vacuum & unsatisfactory working of filters. The cane quality is first important aspect while discussing the mud settling rate. The cane shall be free from all extraneous matter as far as possible. In some sugar mills, cane quality is given prime importance and cane received is almost free from extraneous matter. In such situation definitely the mud settling rate is always good. In case of flood affected cane may also lead to higher mud level in clarifier. A cane washing laundry as being practiced in number of countries where mechanical harvesting is practiced may be helpful for maintaining lower mud level in clarifier. The cane washing is helpful for removal of mud, sand and other extraneous matter which decreases. The cane shall be fresh as far as possible. The cane staling time shall not be more than 48 hours. Considering the recovery, the cane staling shall not be more than 24 hours. The stale cane is increases microbial products such as dextran in cane juice. These products are not settled easily in clarifier and increase the turbidity as well as colloids in clear juice. At mills, the growth of microbes shall be controlled well. It is generally observed that the microbes grow well at various corners and surrounding of mill station as the cane juice is excellent medium for growth of microbes. Leconostock mesenteriods at dead pockets of mill juice gutters, cane carrier chains, mill inter carrier chains etc. Advisable to have permanent steam washing arrangement for chains of cane carrier and mill inter carriers. Washing of mill surrounding and dead pockets of juice gutters shall be made twice in a shift so as to resist the microbial growth and to reduce microbial growth products in extracted juice. DSM screens or rotary juice screens are also one of the important station for growth of microbes and shall be paid due attention for cleaning and washing. High temperature imbibition water (max. 700C) is also helpful for reducing microbial population as well as microbial products in the extracted juice. At the same time the high temperature water will help in extracting more sugar. Higher % of imbibition water is useful for reducing mud level by reducing the brix % of clear juice. It is general opinion that bacterial activity is reduced at higher temperature. But recently it has been established that some thermophillic bacteria continue their activity even at 100oC. If muddy juice remains stagnant for long time in clarifier then such incidents are noticed. The drop in pH below 6.5 of muddy juice is the indication of microbial activity. In such case, the muddy juice becomes highly viscous and filter cake porosity decrease to a great extent. To combat such problem it is beneficial to increase muddy juice pH above 8.0 and to process of all muddy juice with in minimum time possible. This should be done immediately either by reducing crushing rate or in extreme cases by mill stoppage. The temperature of sulphited juice before flash tank should be 1020C plus. it is observed that in some factories the mud trouble is a result of lower temperature of sulphited juice due to scaled juice heaters or short circuiting of sulphited juice and raw juice. The short circuiting of juice is either due to faulty double beat valves or bent juice heater lids. 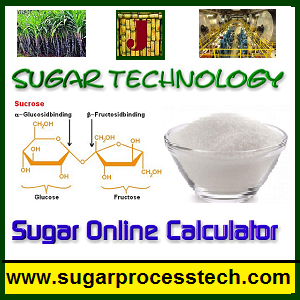 Sugar Technology online calculators | Sugar Industry capacity & Equipment Design and Drawing(EDD) online calculation sheets | sugar process technologies. Mud trough angle depend upon vacuum filter drum dia. According to drum dia trough dia will be provided. 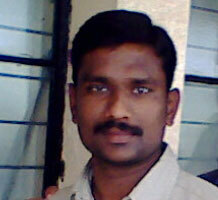 I want to know for angular distribution of hi, low and no zone of rotary vacuum filter.